What does chill bro and Houston Rockets forward Chandler Parsons do when he gets asked to prom by one of his fans? He politely declines, and then sends her a bitchin' party bus. We're not really big fans of the whole ask-a-famous-person-to-prom stunt that has become popular in recent years, because it just sets athletes and celebrities up to look like dicks when they decline the invitation. So kudos to Parsons for finding an artful way to avoid having to spend the evening with a bunch of weirdo high school kids while still scoring a boost for his public image. We really hope that girl has a lot of friends, though. 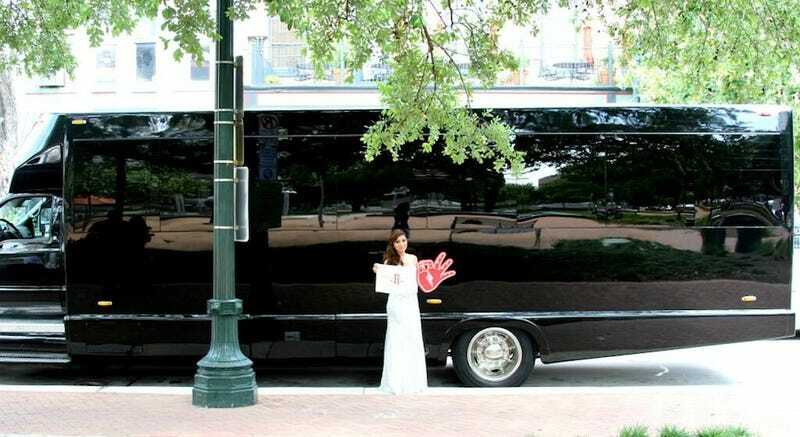 It would be kind of embarrassing to have to roll solo in a bus like that.